How to use reclaimed lumber to decorate a home or business. The main thing that a home business owner will have to decide is where to use reclaimed wood in their project. 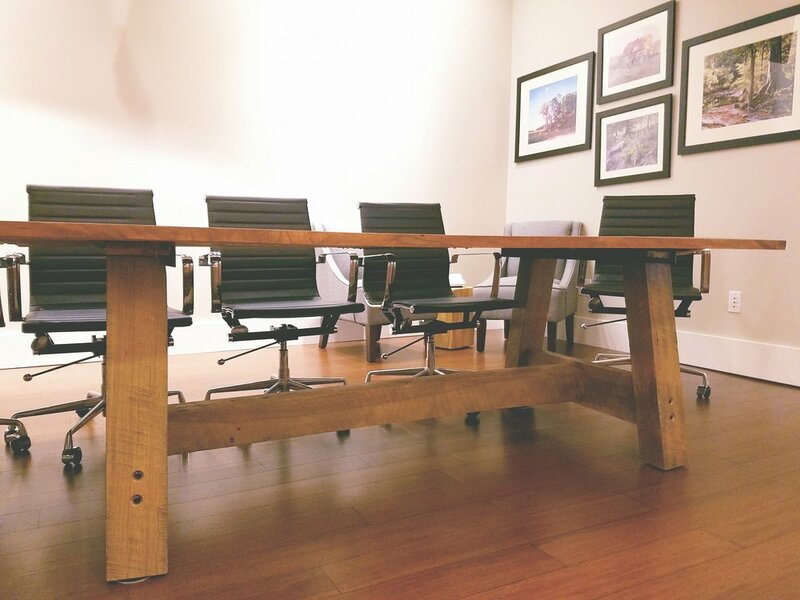 Reclaimed wood can be used anywhere you would use new lumber in a project, but there are some very good ways to incorporate reclaimed wood into your home or business that will set your home apart from others. Boards from an old wooden barn or from old doors can be turned into amazing tables that can be used in many rooms.Old boards can be used for unique wall coverings, while barn doors can be used as dividers or doors. Reclaimed wood will add character to what is essentially new construction. While many people enjoy the look and feel of a new home, they still want to have some character that the reclaimed wood will add. What a great look for a bar while ceiling beams create a terrific look for unique lighting. It can be used behind the walls too. Reclaimed wood is a good material for all types of construction. While you may not see all of the reclaimed wood that is used in a project, you will know that by using it, you helped the environment. I am able to offer authentic reclaimed barn siding in a variety of colors and styles. Reclaimed Barn Siding can be the offered unfinished or square-edged and back planed and sanded as well as kiln dried. These are all options for you to consider. Reclaimed wood flooring is able to be used as wall paneling. So if you see a floor and think, "that would look great on my wall," you're right and you can make it happen. You have the choice of either all of your wall panels having the same width, or having a combination of widths. Most barn siding is 3/4 inch thick and 7 to 5 inches wide. We are able to mill it to meet your needs. You will need to know the total square footage of the area you are trying to cover. You will then want to add 10% - 15% to this number to account for waste. Lead times for reclaimed beams and timbers can vary from two to five weeks, so you will want to have a good idea of when you want your material on site and take this into account while planning. Our lumber is kiln dried and this may add to your delivery time depending on demand. 1. You can apply a stain to the entire piece. Keep in mind that the color will most likely turn darker than the stain says that it will. Most reclaimed pieces are very dry. When you place the stain on it soaks it in quickly. The walnut and dark stains might turn the piece darker than you might want it to be. 2. You could just coat the piece with a polycrylic. This will bring out the natural colors that the wood contains. It also gives any character that the mantel has a great look. There are 3 types. Matte- no shimmer, Satin- slight shimmer, or Gloss- rather shiny. This will protect the wood as well as create an easy surface to clean. You can also add the polycrylic after you stain if you decide to go that route. 3. Some decide to use a wax finish. This also creates a wonderful look and can be used with stain or without. The mantel will have a softer look to it. The wax also gives it a great feeling when you touch it. 4. Tongue Oil can be used. This keeps the lumber looking pretty much as it does right now. It provides a protective layer to it, but does not change the look of the wood that you are currently seeing. Where the polyacrylic causes the natural color of the wood to pop out.